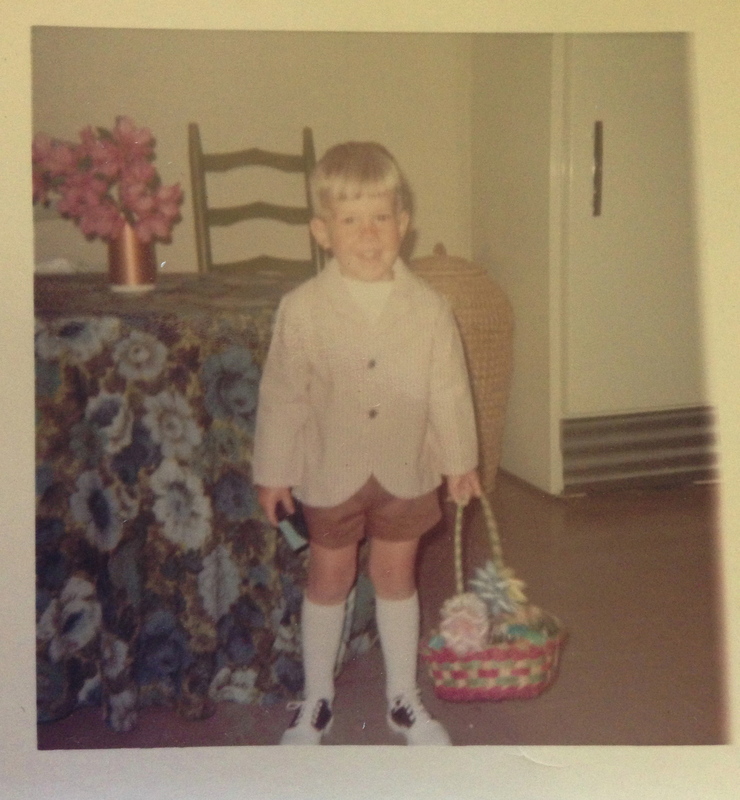 Growing up it was all about the Easter baskets and the Easter egg hunts. The stuffed animal sitting in my pink trimmed basket. The candy! The chocolate hollow rabbit! (that my brother ate the ears off) I cringe when I think about digging in my basket days and days later and eating the dyed easter eggs. Maybe weeks later!! 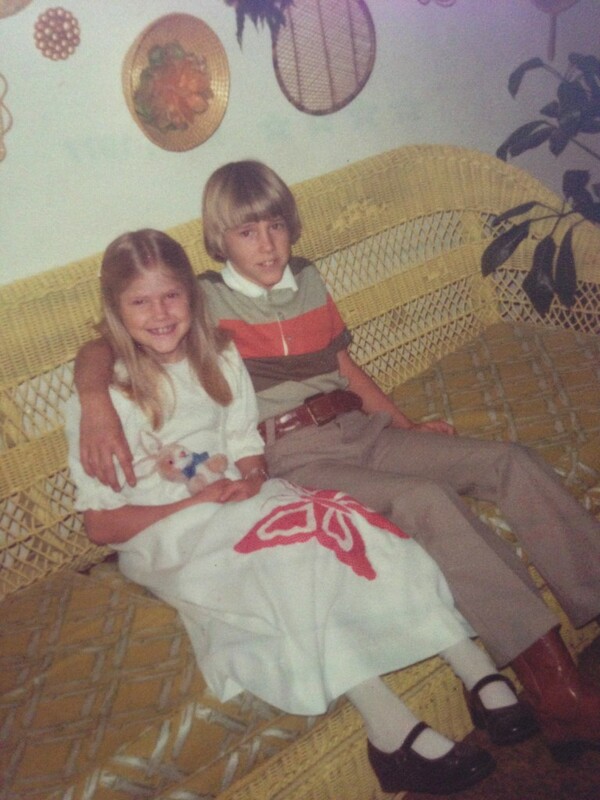 But for my mom it was always about the Easter Dress and accessories! 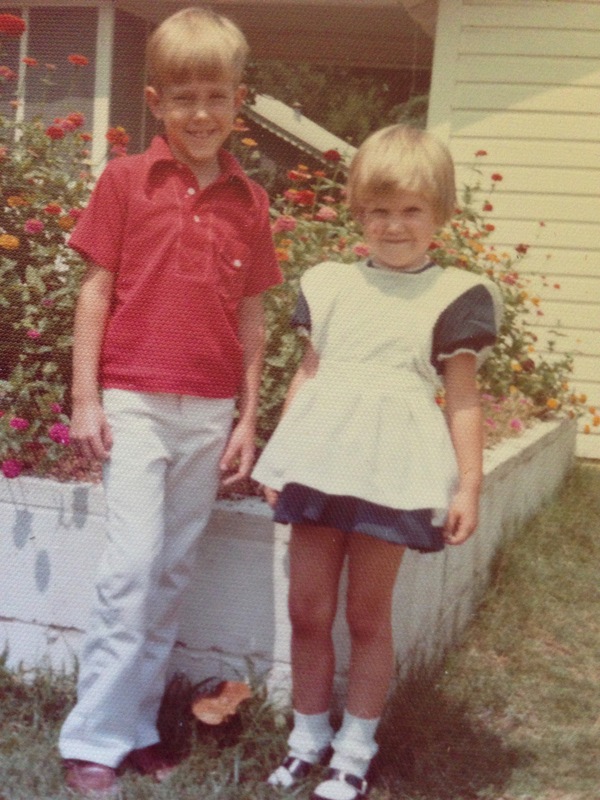 I was never a fan of dresses growing up. I just hated wearing them to church! After church the adults would stand around “fellowshipping” and the kids would run and chase and play in the yard and parking lot and you just couldn’t do all that in a dress, not well anyway. And the patent shoes were the kiss of death on the gravel paved road. I still have a scar on my knee from an injury that happened one Sunday night. I still remember sliding down while trying to run in those shoes and limping to the light between two parked cars to look down at my knee. I hurried to the nearest mom before the blood reached my ruffled sock. I’m sure they were my Easter Socks. Why did we have to wear dresses to church? If I ever got to wear shorts under my dress, it was the best. Another fault of the Easter dress was the photos. 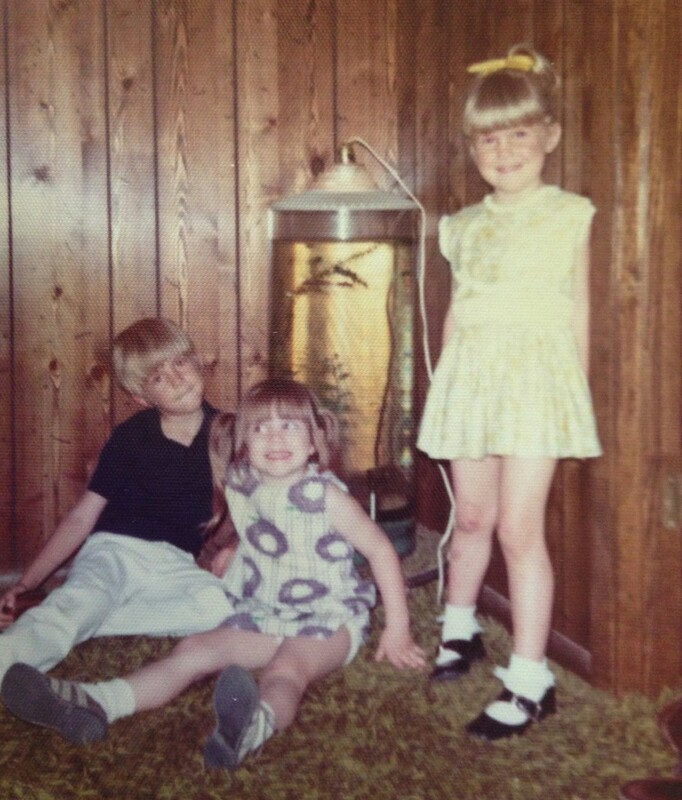 Endless photos in scratchy dresses standing close to your brother. Just to stand still after eating all that candy. Am I the only one that remembers it this way? I promise I wrote that before I found this picture of me and my brother!! I didn’t recall us ever being THAT cozy! And what about that dress! 1977. 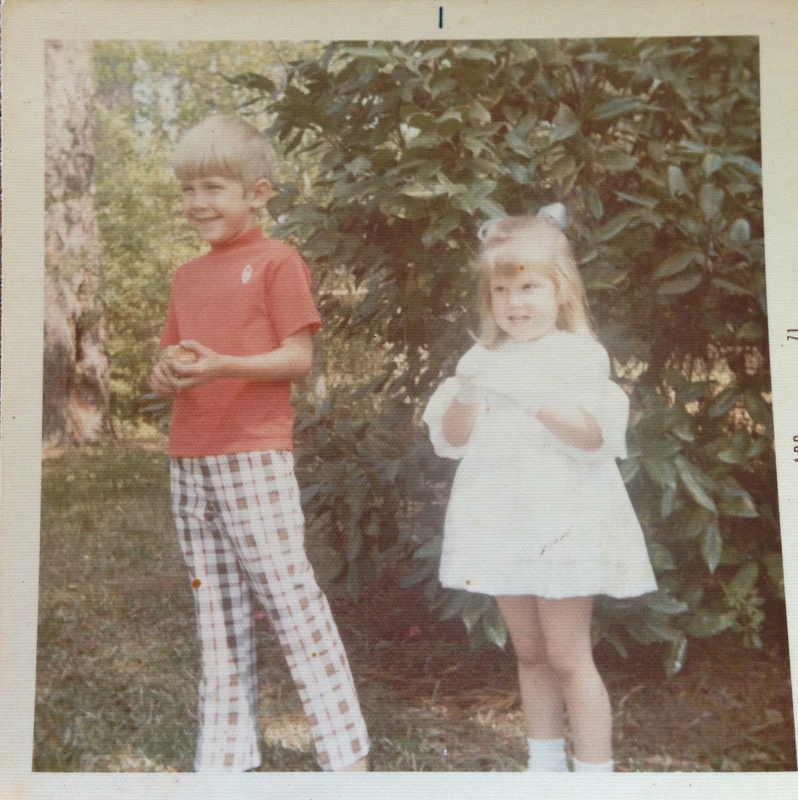 When I was 3, I don’t remember it of course but the story has been told, I had a pale blue Easter dress with matching jacket, complete with gloves, the bow, and THE shoes. After church mom showed me off to her friends and my little hands remained behind my back. She said “Lara Kate, what is in your hands?” I brought my white-gloved hands around and when I unfolded my dirty gloved fingers my palms held fat roly polys that I had collected. I do remember growing tall against the church red brick walls was think green grass and if you pulled it back you could find the biggest roly polys. 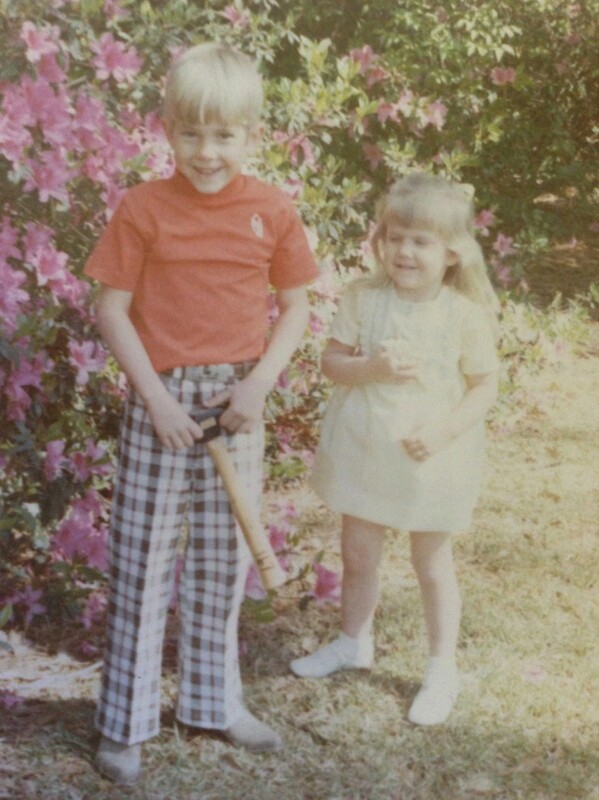 Why does he have a hammer for Easter photos? And right by his 3-year-old sister??? What were my parents thinking?? Even then God was preparing me for my life of boys! I hope you had a wonderful Easter with your loved ones. We certainly did and were blessed to be gathered together with those we love. This entry was posted in vintage and tagged Easter, family, sunday by Katey. Bookmark the permalink. I LOVED looking at your old Easter pictures! 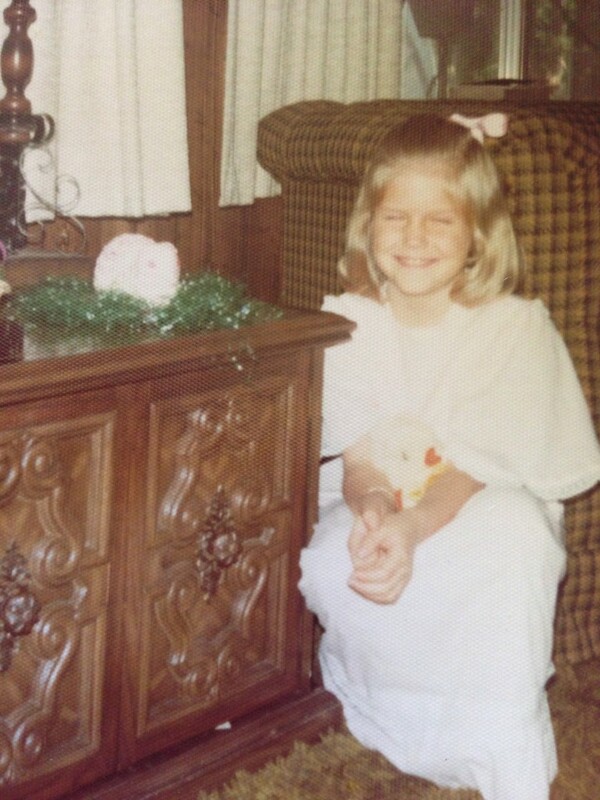 Dian is right; you looked w-a-a-y too cute in those starched, ruffly dresses to ever wear jeans to church on Easter! I remember catching roly-polies, too–but don’t think I ever tried it in white gloves! I didn’t read this before seeing your Instagram picture! Oh I do remember falling on that pavement! I still cringe when I see someone fall on concrete because I remember the feeling! Cold weather was the worst! Great pictures and stories! CUTE is the word! Great memories they are. Personally, I LOVED the dresses, gloves, socks, and shoes. Mine were not always new, but they were always handmade unless my Yankee cousins had handed them down. Thanks for your sweet work.